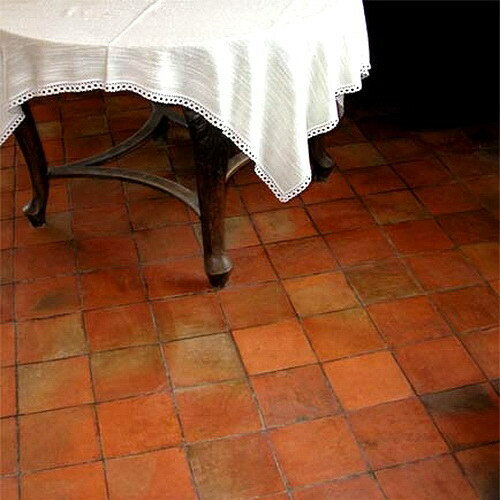 Terracotta floors give impression natural and warm very suitable to ethnic modern design of room. The production process of clay using traditional heating furnace to produce tiles look natural and exotic. Terracotta tiles made from clay molded and then burned. 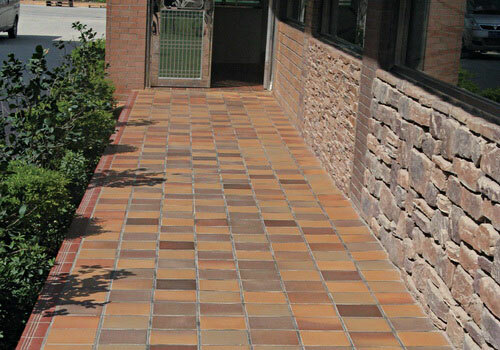 Easily applied as a wall of building, terracotta can also be used as floor. 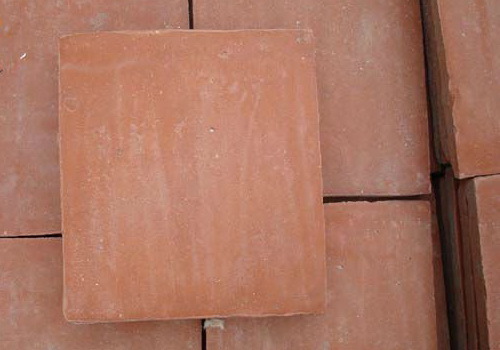 Just like bricks, terracotta also made in traditional way and naturally. Made by hand and manually, one piece with another piece sometimes do not match exactly. This is what makes terracotta into building materials unique and fascinating. If arranged properly will produce display high artistic and beautiful. Making process in 3 stages. First, the clay formed using turntable and pressed with high pressure. Second, the material dried for 2-3 weeks to dry evenly and maximum. Lastly, the results drying burned for 18 hours at temperature 800 degrees Celsius. Terracotta has a standard size, but the precise shape varied. Size squares 30 cm long, 30 cm wide, 3 cm thick most adaptive use. Color reddish-brown to black present cozy and artistic atmosphere for interior design such as living room, terrace and office. Dazzling colors and cool atmosphere are hallmarks terracotta though a lot of new material present in market. 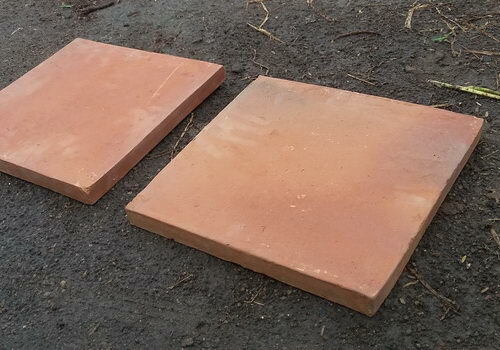 Temperature terracotta tiles relatively stable despite ambient temperature changes. Room remains comfortable in any climate. 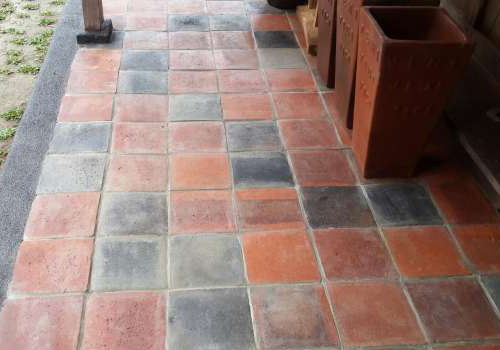 The floor also very suitable for exterior design. 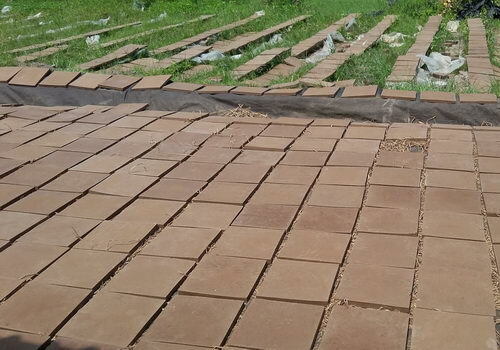 The main characteristic terracotta floor is large pores, easily absorbs water and air so as to make room feel more configurable cool when conditions are hot, warm when cold and quickly cut off water when it rains. Installation and maintenance very easy. If dusty pretty wiped or washed using water. If you want to look better, cover with wax that is widely available in stores. Wax coating process can you do with a soft cloth that is rubbed on surface. Tinuku Store receive content about product, project design or agenda by anyone. We welcome the content for publication to product library. For further information please visit this page.